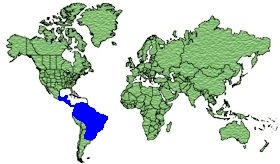 Mexico, South coast of Peru, Argentina and Texas. 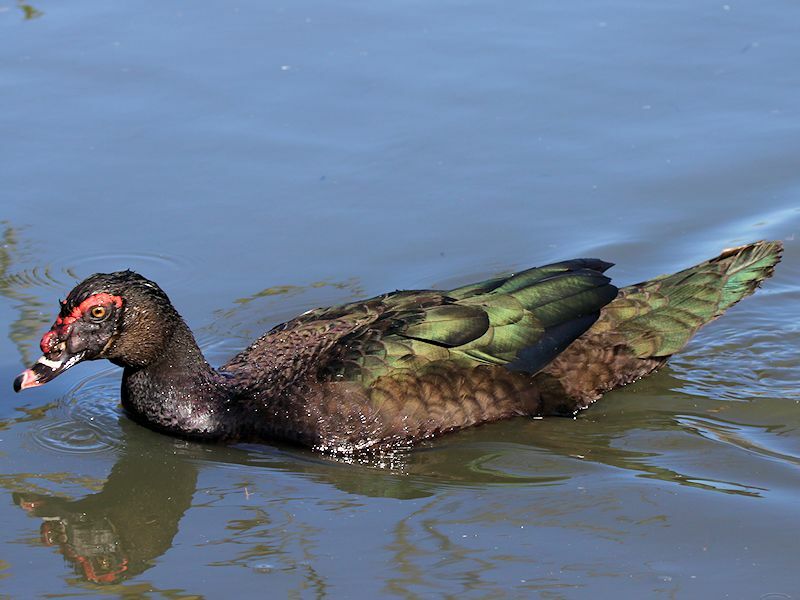 The male has Black with Green/Purple tinge plumage, a short crest on the nape, Black bill with speckled pale Pink. 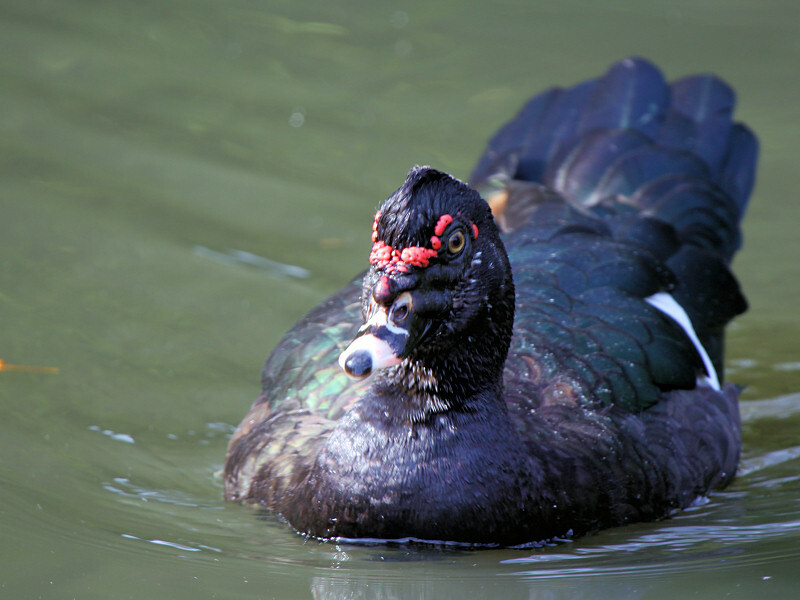 A Blackish knob is at the base of the bill and a bare Black and Red face. 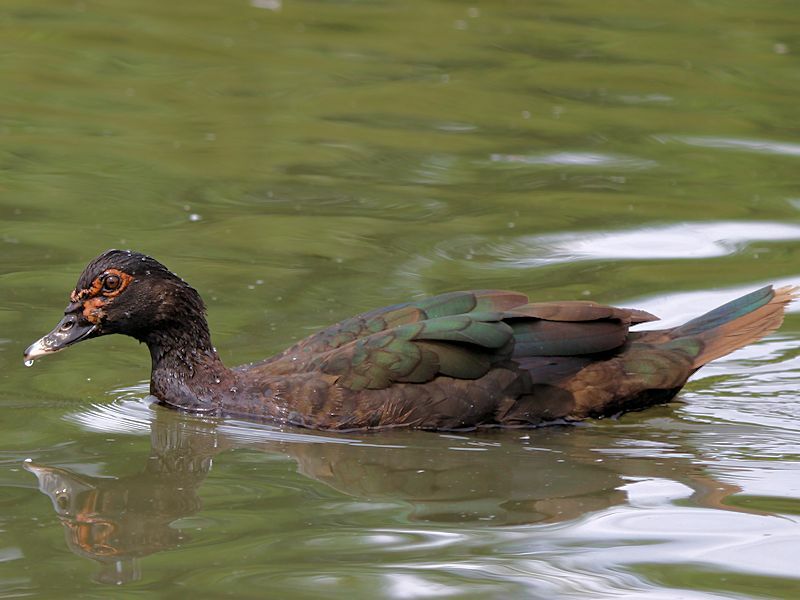 The eyes are Yellowish Brown, the wing coverts are White and the legs and feet are dark Grey. 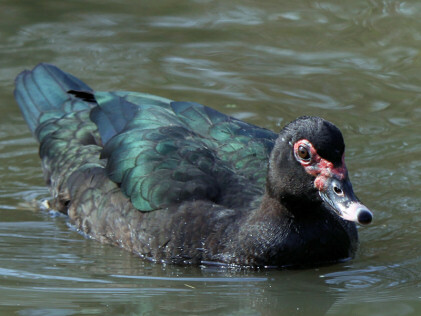 The female is similar to the male except it lacks the knob at the base of the bill and is slightly smaller. 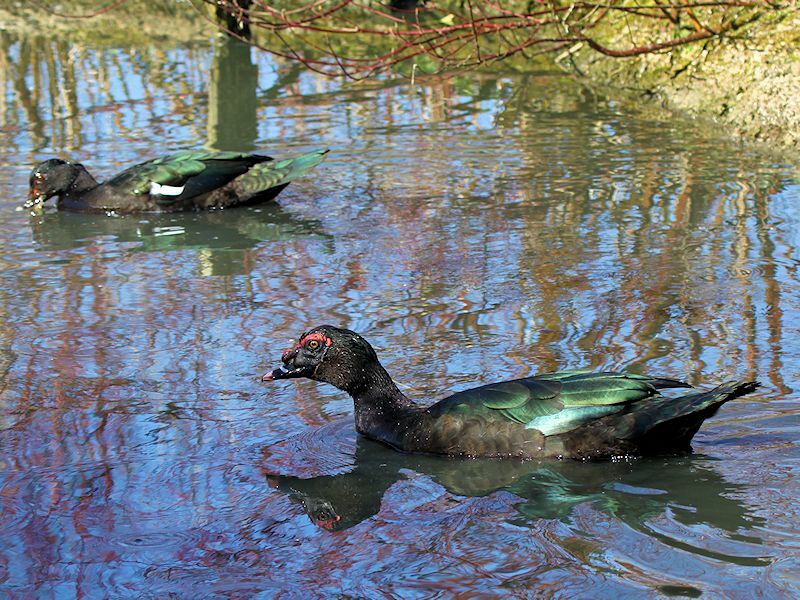 Rivers, Ponds, Lakes, Streams and Wooded Swamps. 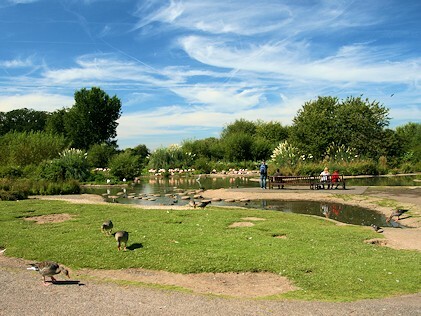 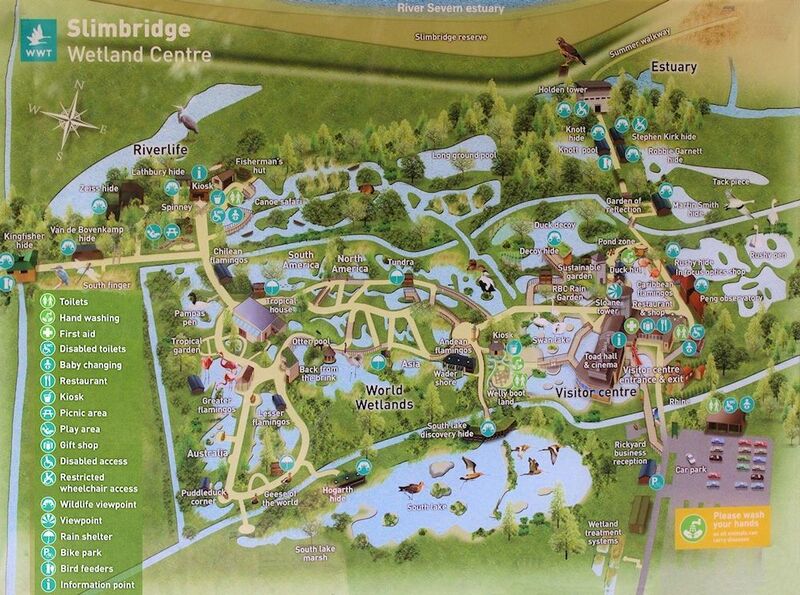 Aquatic Plants and Insects, Roots, Seeds, Crabs, Fish and small mammals. 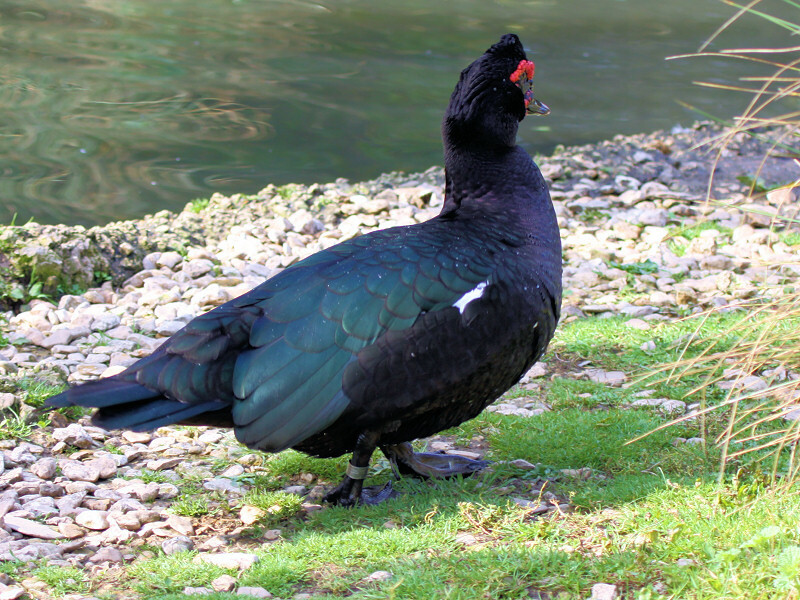 The nest is built in a hole or a hollow tree. 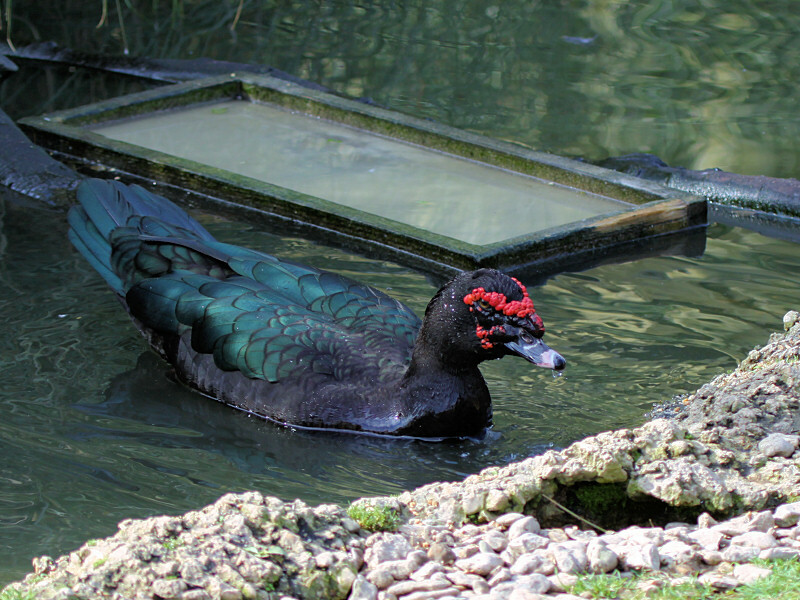 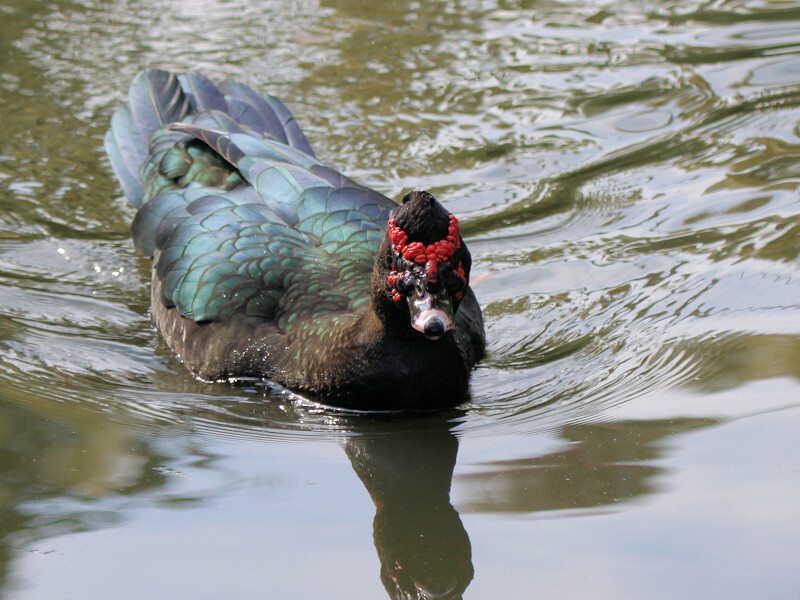 The Muscovy Duck is a large perching duck native to Mexico, Central and South America. 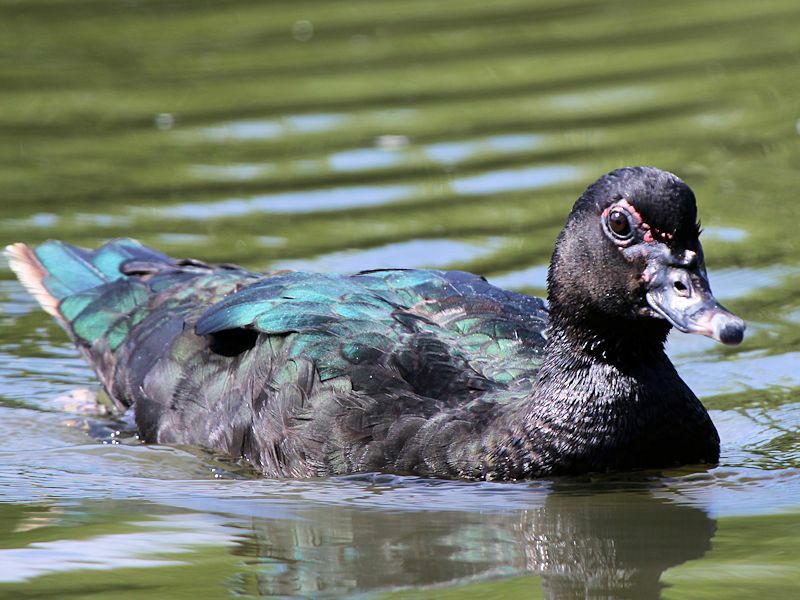 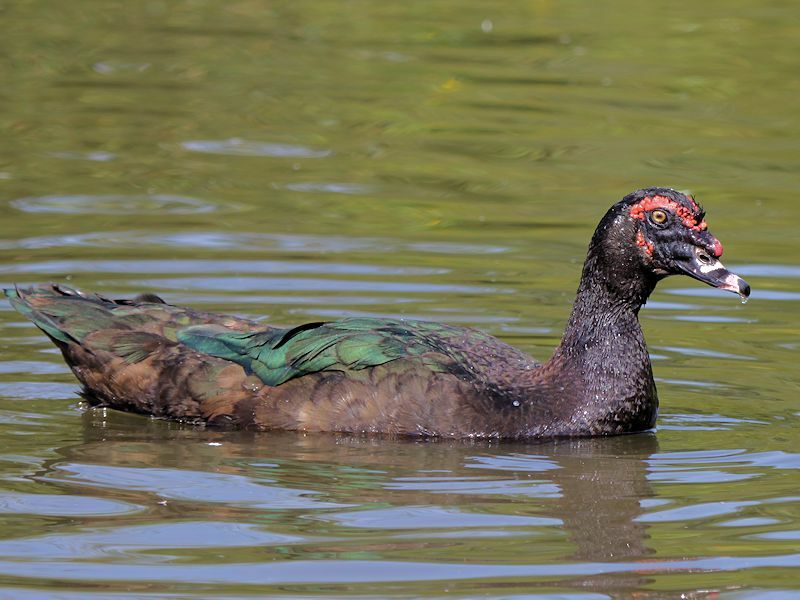 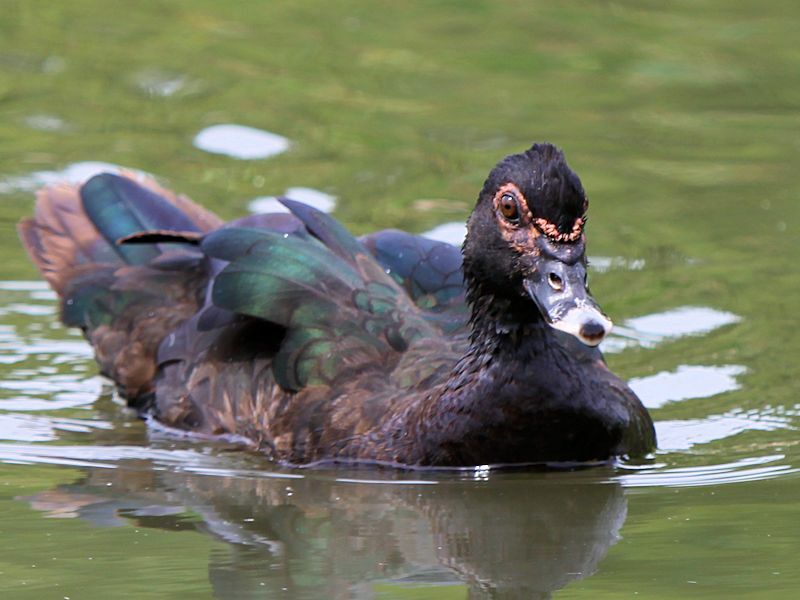 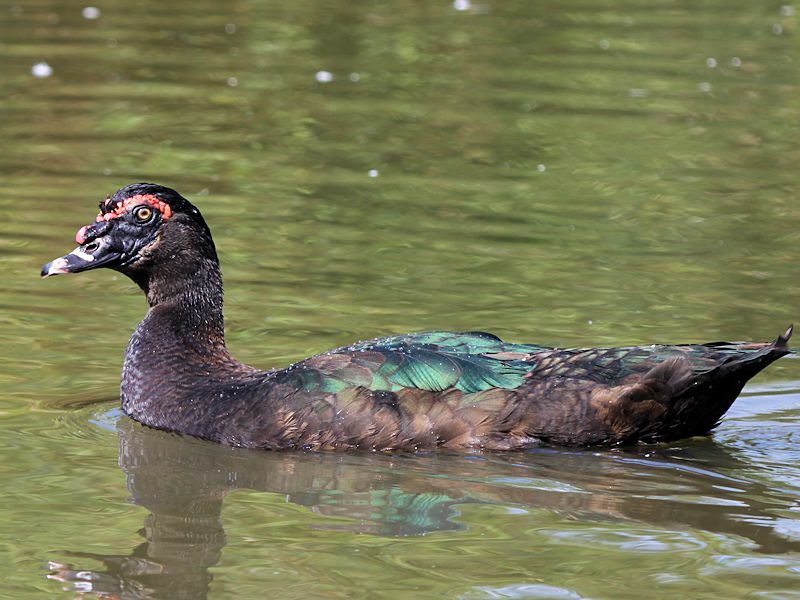 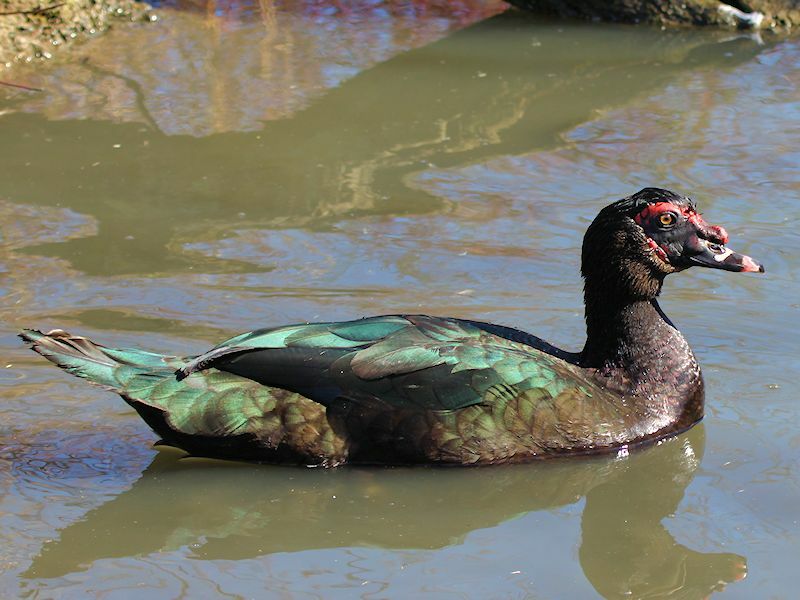 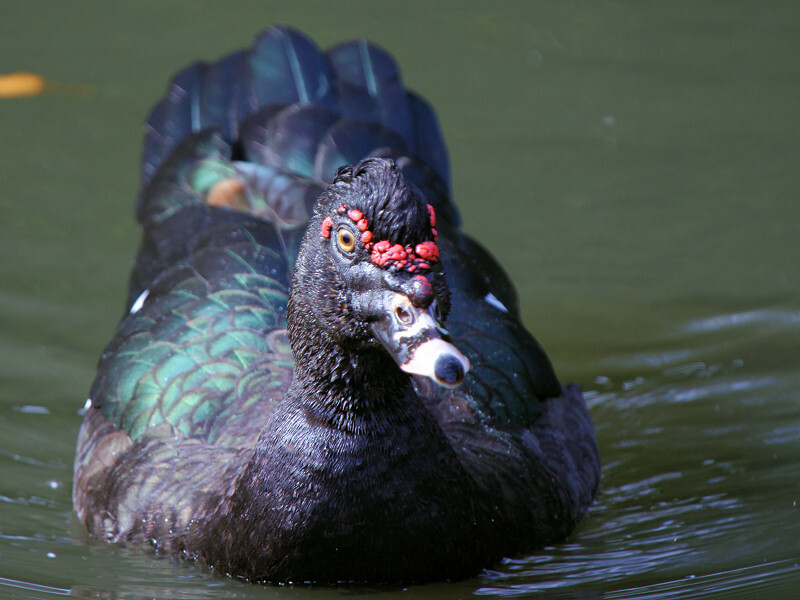 The Muscovy Duck is the only duck that is not genetically related to the Mallard. 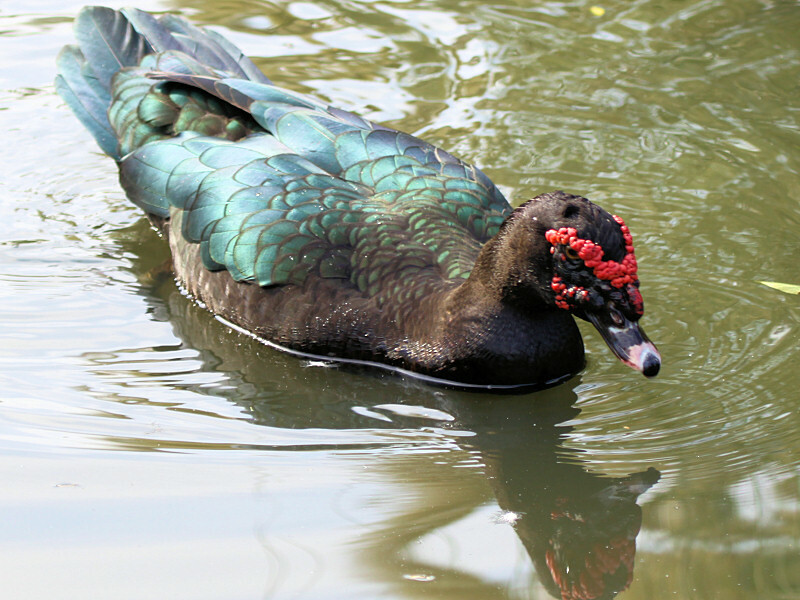 The Muscovy Duck is divided into 2 species, the wild duck 'Cairina moschata sylvestris' and the domestic duck 'Cairina moschata domestica'.